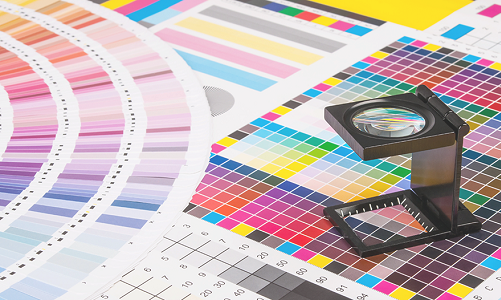 Where Do Printing Companies Fit Within Today's Digital Age? The digital age has transformed and simplified our lives. Not only has this it been proven as a boon to most of the industries whose business today flourishes because of the support they receive from the various digital technologies. The digital technologies and gadgets have helped us gather crucial and vital information from across the globe simply through a click. Finding and curating information has become much easier. Not only is this the digital age today responsible for the many new innovations involved in the recent times. While most of the industries have benefited and leveraged the use of Digital technology, there is one industry whose fate today seems to diminish because of the invention of digital technologies. That industry is the print industry. And this is not a recent trend or a recent question arising about the survival of the print industry. Since many years now people have protected the demise of print industry after the invention of digital technologies in the early 2000’s. This was the beginning of the digital age that restricted the growth of the print industry. Many segments of the print industry have been affected after the event of the digital technology. Segments such as print newspapers has also seen a decline in their revenue. The reason being today Internet and social media platforms have completely changed the news landscape in unimaginable ways. It is now possible for any individual to access any kind of news or information simply through a click at any time during the day or night. The digital technologies today has connected the globe in numerous ways. One needs to know that this connectivity is extremely powerful and has also allowed audiences from diverse reason to come together and communicate and share their ideas. This was a hurdle to achieve before the invention of the digital technologies. And while there are many advantages that digital technology one also needs to know that it comes with its own set of disadvantages. For instance digital media lacks tangibility which can still be offered by newspapers and magazines. Not only this it also lacks the traditional qualities that are enduring and are provided by the print industry. The digital technologies lack the ability to touch, smell and also to feel. And hence while the print industry might be struggling somewhere after the event of the digital Era, Elimination of this industry completely can never happened. Print industry & signage companies in Dubai today still is extremely popular in many parts of the globe. One needs to know the digital Technologies cannot be solely used in order to promote your business. Even the big players in the market still rely upon the print industry. Visiting cards, pamphlets, letterheads, brochures, menu cards and even billboards are widely being used across the world. From Stadium wraparound banners to even boards and signage print – he still plays an active role in advertising and marketing. To conclude while the advent of the digital technology has clearly set a disruptive effect on the print industry, eradication or elimination of this industry can never happen. In fact the digital era has created some great opportunities in driving the rebirth of printing companies in Dubai .